Do we still need to present the famous Citadel of Machu Picchu? In 1911, the American archaeologist Hiram Bingham discovered by chance the Citadel, which was inhabited by a couple of Indians who cultivated the terraces. This place, located 68 miles away from Cusco, the capital of the Ancient Inca Empire, was considered a myth for a long time and many people tried to find it in vain. The name Machu Picchu means the old mountain in Quecha, the local language. Although the site is immense (172 buildings on 80 acres), it remainded hidden from Spanish conquistadors who searched not only for gold, which was present in many sites, but for believes and divine representations in order to destroy them and impose catholic religion. The visitor who goes to the Citadel will quickly understand why they didn't find it: the site is completely invisible from the valey and it is only almost when arriving up the hill that it can finally be seen. 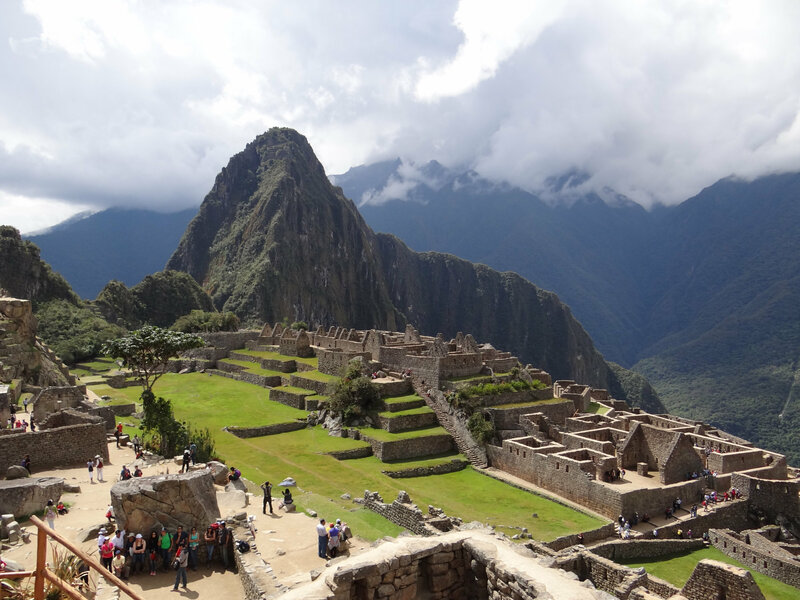 Many people think Machu Picchu is without any doubt the most spectacular pre-Columbian monument in South America. In 1983, the site was classified by Unesco as a Cultural Heritage for Humanity. In July 2007, it was chosen as one of the new 7 wonders of the world. 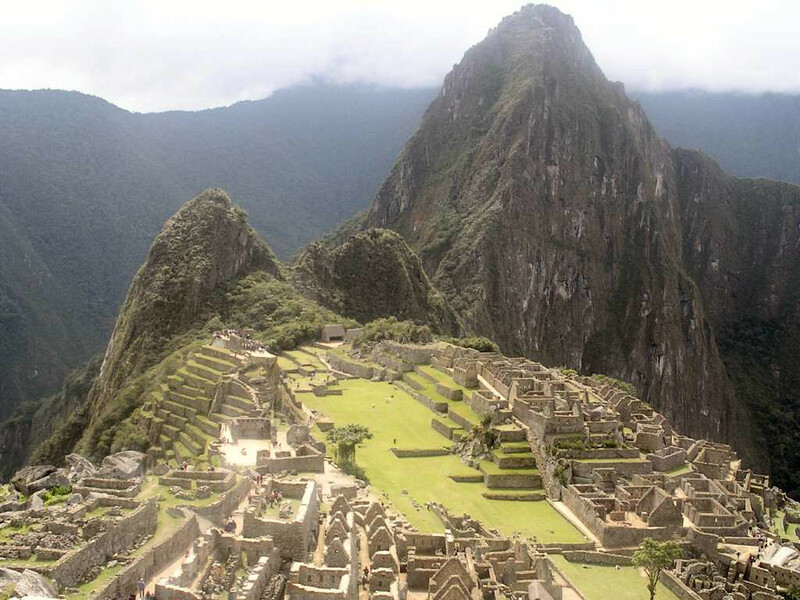 What is the visit of Machu Picchu? The tour is open to every body, for people all ages, all year round. It begins in Cusco with a journey by train through the Urubamba Valley to the small town of Aguas Calientes, which is below Machu Picchu. The train trip itself is delightful. The 75 miles journey crosses small villages and goes along the Urubamba River. Once in Aguas Calientes, only a bus and 20 minutes separate you from the Citadel. A guided visit will let you better appreciate the day spent in this magical site which has kept so many mysteries for centuries. At the end of the visit, some people would choose to visit the nearby mountain, the Wayna Picchu and its ruins. After lunch, some people would prefer to return to Cusco by train. Other visitors would rather stay one more day and sleep in Aguas Calientes to, maybe, visit the Citadel one more time or, why not, see the sunrise in Machu Picchu. We invite you to visit this fabulous and unforgettable place and see a legend, a mystery, a wonder, and centuries of history in only one day.